In the current society exists new urban phenomenon that have introduced the cities to “places full of void”. times of confusion and discussion on the subject of reuse and rehabilitation of these spaces have been greatly diversified, even though they belong to the past, today they are very contemporary. regarding the social point of view, architectonical, political and economical the most favorable project choice is the ‘refilling’ those empty urban spaces instead of leaving them empty, acknowledge their cultural value rather than destroying. By reusing we don’t necessarily and exclusively mean including buildings that are saved from the demolition, but we also refer to those part of the cities that are abandoned and unoccupied which had important moments of livelihood and development. the challenge is to search for the conditions so that these spaces are transformed into significant places of distinguished identity. the state of decay in which they happen to be indicates and emphasizes the architectonical, historical and cultural values of ruins. We have to operate according to a double system that associates the values of a local context with an extended reality, creating new situations of interest. Some operations will merge the potential of these abandoned areas giving an opportunity of development. the hypothesis is that these spaces can be refilled with talent, intelligence, competence, passion, setting up real and proper “laboratories of social innovations”. these places pose the question of identifying new destinations of use and new projections. cultural opportunities can rise, becoming the producers of their own incubators of creative activities. A common interest and an individual forming path connected to the passion brought to life the creation of a group of architechts: mau ( metabolismo architettonico urbano / urban architectonical metabolism) .The research and the study of new methodologies to reactivate abandoned places through creative processes have pushed the curiosity of the group crossing new borders and going not only in the native country but transferring the attention in the Albanian territory. The experience gathered from a series of exploring trips made possible to enter in a direct contact with a cultural, social and architectonical reality of Albania. The attempt to work with aforementioned topics lead us into discovering and interacting with some of the interventions made to improve the quality of the social and built environment. The pavilion is devided in two conceptual parts: 1. Architectonic \Narrative 2. conceptual \Artistic the conceptual \Artistic part consists in an element reflected by two mirrors, one opposite to the other. the element is represented by an object sought and considered characterizing the urban landscape of the entire Albania: the pole of the high voltage. the tower symbolizes the unresolved urban theme spread over vast areas characterizing the image of the environment. 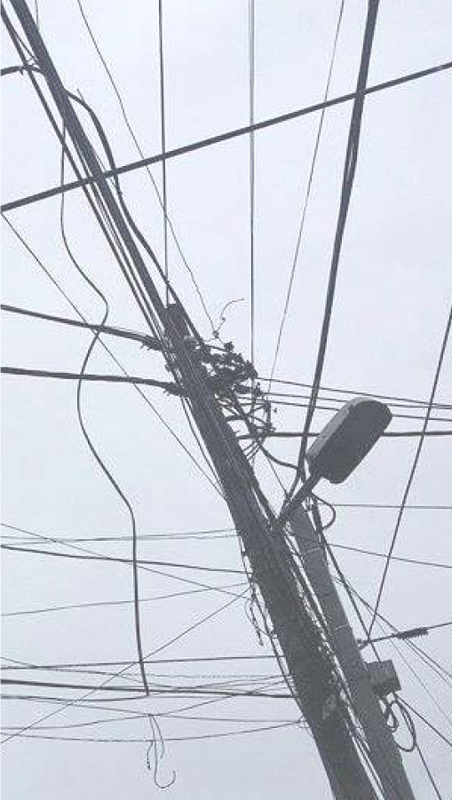 the element made of wood is connected with cables that are tangled in a dense and chaotic network of wires. 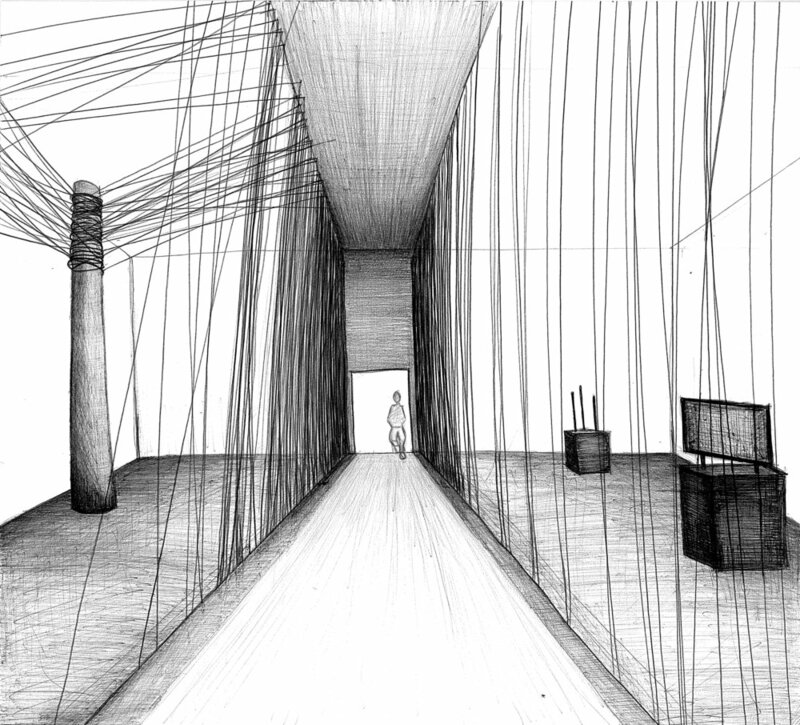 the wires are projected in the mirrored walls creating an effect of continuity and helping to create an image that, reflecting the spectator, is mirrored countless times. the strength of this image has the declared intention of creating the sensory suggestion of the union and the connection. the Artchitectural \Narrative part is represented by the video projection. What we wanted to do was to bring our research ( the cases studies) through the abstraction of the concept. the video project will be realize by Academy Of Film & Multimedia Marubi. this is an attempt to revitalize the different places . Starting from the analysis of the creative spaces , as tuLLA centre , destil , M.A.M Foundation , which through their work try to give life and value to the reality marginalized. the video will be the performance of a woman seated on the floor who knit the cable of the light poles. this as a symbol of those who make the attempt to bring to life this spaces , through the creative process . the physical space of the hall is the element of passage interrupted by the break of the interior space . 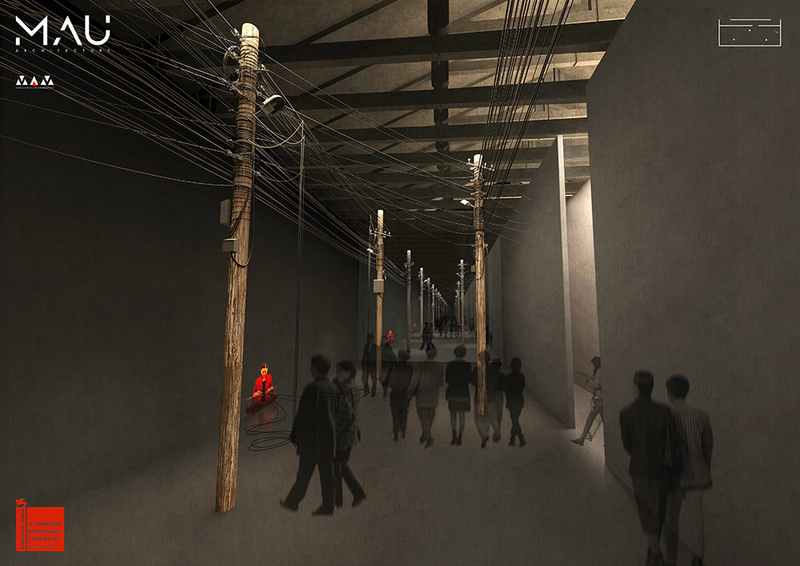 the corridor represents our path of research done in Albania , while the interior contains and symbolizes the suggestions collected from the iconography of the urban landscape Albanian. The project consists on the evolution of the perception of the urban image “ready made”, which introduces a conceptual proposal by the Albanian Pavilion through an installation combined two communication elements;one of the elements proposes The Symbol of Communication and essential expression of Urban Peripherals and the other as the representative element of Contemporary art as an organic part of the urban architectural element. This project carries in itself the architectural conceptualization and symbolic, as a proposal that tends to be connected to the reality of the creative and changing art. the symbols of the Albanian urban Architecture are essential part of project-proposal of the Albanian Pavilion on the Venice Biennale of Architecture. The proposal is based on the creation of an identical space taken from a random street of tirana. 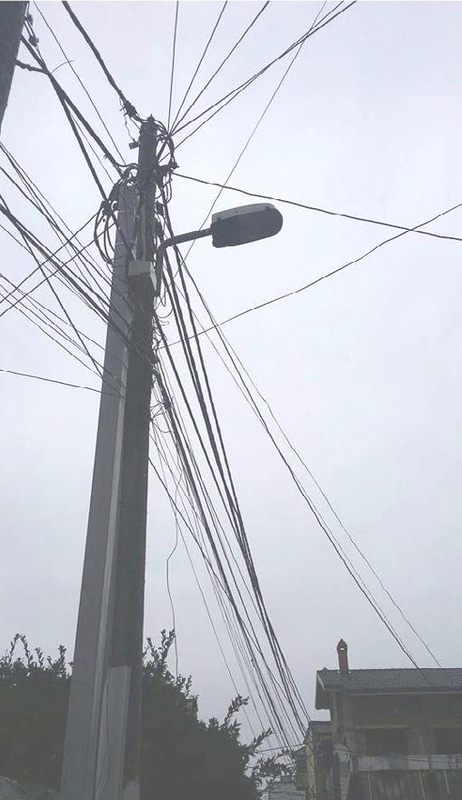 A utility Poles with the wires that are extended infinitely in the air. 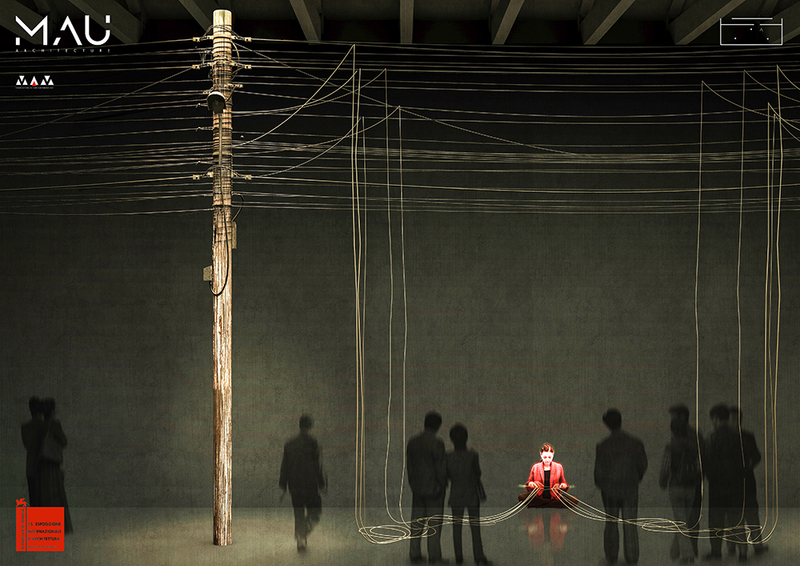 This utility pole will be transported in the Albanian Pavilion of Venice Biennale and will recreate the same situation of natural dimensions exactly as we see it in every corner of the city. On the two furthest sides of the space are two full wall-sized mirrors that reflect the sense of continuous infinite… the proposal of these four young prominent architects, to interfere in emerging unexplored spaces of an under construction phase, is an effort for socio-creative engagement, turning a journey to Albania as an opportunity to participate in the emergent aesthetics, proposing the urban aesthetics as a “visible” communication form through the thin wires hanged on the skies of the Albanian cities. This project came to life after a research work of the architects, whom searching for a symbolic element of their experience in Albania. 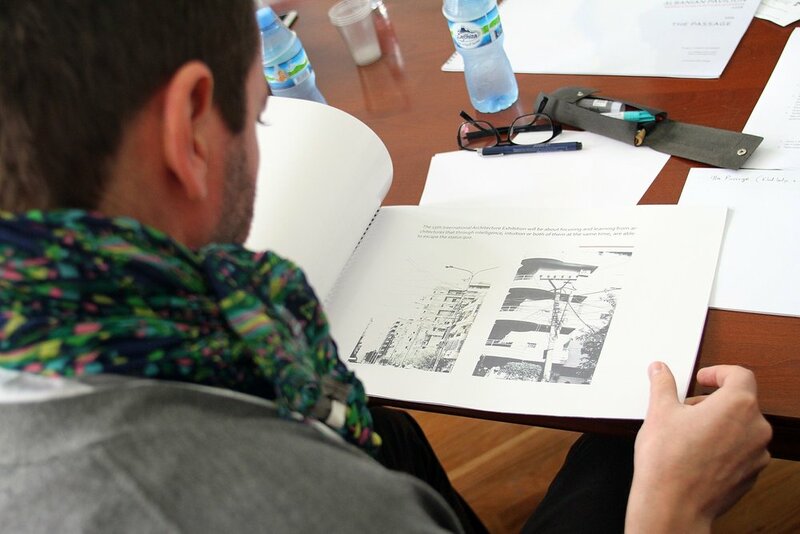 This journey led to urban evocation, newborn spaces of contemporary arts, acknowledge of current attempts of the Albanian Avant-Garde architecture and art. 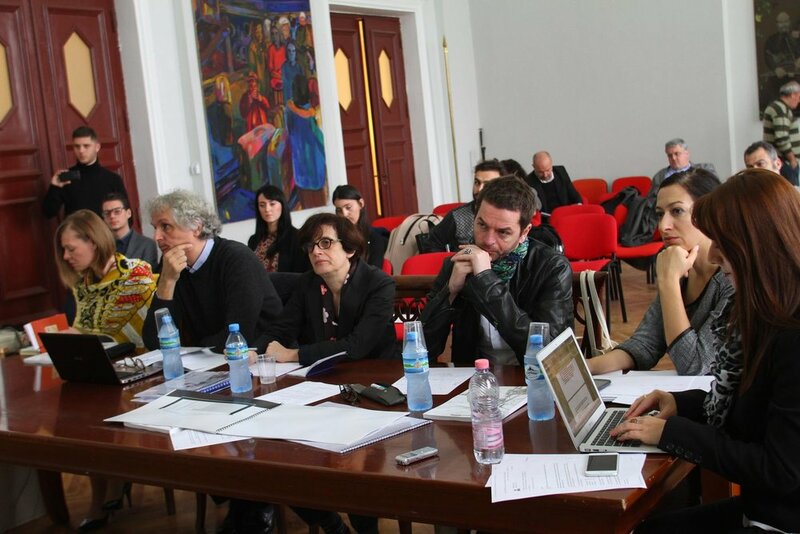 This conjunction of information and infiltration, made the birth of the project “the PASSAGe” possible, particularly supporting the proposals of emerging Albanian art as an inner architecture related to the evolution of the thoughts on evolving art. the focus of the architects coming from Italy is like a “passage” over the spiritual aesthetics that is rising in this small Balkan country with very positive elements of transformation. essential transformation and a point of view over new altruist worlds like concrete proposals under evolution countries. this stand of the architects is like a testimony of evocation alternated with evaluation of the efforts of aesthetics developing with emerging countries like Albania. the perception that this project is trying to transmit is emitted through the fine “game” of visible dialogue (endless wires hanged in the sky and not in the pavement), as a matrix that tries to reconnect from one side the human communication transforming this artistic symbols, and from the other side reflects over real proposals developed as an architecture of new innovative forms, in some left alone, abandoned and ruined spaces of the Albanian heritage of the post communism.